Depending on your company, your Office 365 global admin might be knowledgeable about managing Office 365 administrative tasks, but may know little about Project Online administration. If this is the case, we recommend that the Office 365 global admin work collaboratively with their PWA site admins to accomplish these tasks. For example, a Office 365 global admin would probably be best suited to run the PowerShell script to find all PWA sites, but would probably need to work collaboratively with the PWA admin to accomplish the remaining steps and for help regarding business rules and configuration of each PWA site. You will need the use of several PowerShell script files for the procedures in this article. The script files referenced in this article are contained in the Project Online User Content Export and Delete script package. Download and unzip the files to a location you can reference. Some of the files included in this package are used to delete user data in Project Online and will not be needed for this article. In File Explorer, go to the location where you saved the zip file. Right click on the zip file, and click Properties. On the General tab, select Unblock. All files contained in the zip file should now be Unblocked. You can verify this in the individual files by checking to see if the Unblocked checkbox option no longer appears in the General tab of the file's Properties page. 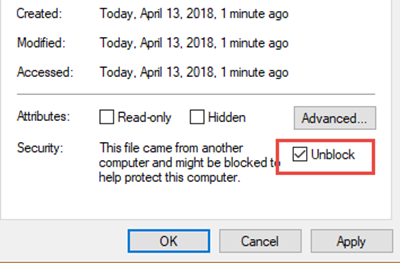 If you only have access to unzipped files, you can also unblock each file individually. Global admins will need to use the SharePoint Online Management Shell to connect to their SharePoint Online Admin Center and run the Get-SPOSite PowerShell cmdlet to get a listing of URLs for each PWA site in their Office 365 environment. To run the Get-SPOSite PowerShell cmdlet, you need to be either in a Global admin or SharePoint admin role. After successfully running, a list of all PWA sites and site owners in your Office 365 environment will display. If you have the user's login account, this step is optional. You will need either the user's login account or Resource ID for each PWA site in order to run the export script. In the Project Online Server Settings, in the Enterprise Data section, click Resource Center. On the Resource Center page, in the ** Resource Name ** column, locate the user's name then look in that row to see if you can find a value in the Unique ID column. This value is the user's Resource ID. For example, in the graphic below, you can see Aaron Painter's Resource ID value listed in the Unique ID column. In some cases, your table may be customized so that the Unique ID column is not available. If so, select the checkbox to the left of the user name and then click Edit located in the Resources tab in the ribbon, and then go to the next step. On the Edit Resource page for the specific user, go to the System Identification Data section and find the value listed for the GUID. The GUID is the users resource ID for this PWA site. If you have multiple PWA sites, each PWA site will have a different Resource ID for the same user. Make sure to pair the Resource ID your find for the user with the specific PWA site URL. Next, you will need to run the ** ExportProjectUserContent ** PowerShell script in order to export your user's data from each PWA site in your Office 365 environment. In order to run the script, you need to make sure you and your environment meet the prerequisites, and then you can run the script. The ExportProjectUserContent PowerShell script is included with the Project Online User Content Export and Delete script package. License for Project Online: You need to be assigned a Project Online Premium or Project Online Professional license. ﻿Project Online Desktop Client: You will need the Project Online Desktop Client and be connected to the Project Online instance. The Project Online Desktop Client is included with a Project Online Premium or Project Online Professional license. Click the File tab to open the Backstage view. Click Info, and then click Manage Accounts. In the Project Web App Accounts dialog box, click Add. In the Account Properties dialog box, type a name for this account in the Account Name box. Enter the URL of the PWA site you are connecting to in the Project Server URL box. In the Project Web App Accounts dialog box, select Set as Default, and then click OK. Restart Project, and log on to the PWA site. Add yourself as a site collection admin to the PWA Site for which you are running the script. If you are in Project permission mode, be assigned Manage Users and Groups and the Access Project Server Reporting Service permissions on the Project Online instance. If you are in SharePoint permission mode, be in the Global admin or SharePoint admin role. Use the ExportProjectUserContent.ps1 PowerShell script to export your user's data. Resource ID of the user. Login name of the user. Location to store the export files. Default - Project Public Cloud. ITAR - Office 365 United States Government. If the parameter is not used, the default value is used ( Default ). You can chose to run the script either by specifying the user's Resource ID or login name. After the script runs successfully, all exported data will be stored in the -OutputDirectory you specified. All feature-related json files, all project-specific json files, and all project-list files. For the Timesheets_page#.json, you will get file per page. This will allow you to export the three json files that contain your user's data that pertains to the Portfolio Analysis feature (BusinessDrivers.json, DriverPrioritizations.json, PortfolioAnalyses.json). Has a task assigned to him or her in the project. Is an assignment owner of a task in the project. Is the status manager of a task in the project. List of projects from the Draft schema that corresponds to the conditions above. List of projects from the Published schema that corresponds to the conditions above. List of projects from the Reporting schema that corresponds to the conditions above. The list of projects may differ slightly for each of the three .xml files. For example, a user can save the project but not publish, meaning that it will appear in the DraftProjectList.xml file, but not the PublishedProjectList.xml or ReportingProjectList.xml files. A project admin can use the Project list .xml files to give them information about which project-specific export files they be interested in analyzing to decide how much of the exported content should be shared with the user. The unique identifier for the PWA site in which the project exists. The unique identifier for the project. Feature-related files - For each PWA site that the user is part of, the following feature-specific .json files will be exported to the specified output directory. The feature-specific files will contain user data as it pertains to the feature use throughout the PWA site. For example, the Drivers.json file will include data about Portfolio Analysis business drivers the user created or owned. If the user has no data relating to the feature on the specific PWA site, the file will contain no data. Project Web App server settings change data. Portfolio analysis business drivers data. Data about user jobs process through the Queue Service. Data about security groups, categories, and permissions. Data about SharePoint items from project sites. To learn more about the objects contained in each of the feature-specific .json files, see the Feature-specific data section of Project Online export json object definitions. Project-specific data differs from the Feature-related data in that the data is specific to a single project. Feature-related data can include user data across many projects in the PWA site that the user was a part of, but pertaining to a single feature. For all project-specific files you receive, they will be prefixed with the specific project's Project Name. For example, if a project has a Project Name of Project1, all project-specific files we describe in this section will be prefixed with Project1. The project file from the draft schema saved as .xml format. The project file from the published schema saved as .xml format. See the Project XML Data Interchange Scheme Reference to understand the Project XML data contained in these files. The project file from the draft schema saved as a Project .mpp file. The project file from the published schema saved as a Project .mpp file. 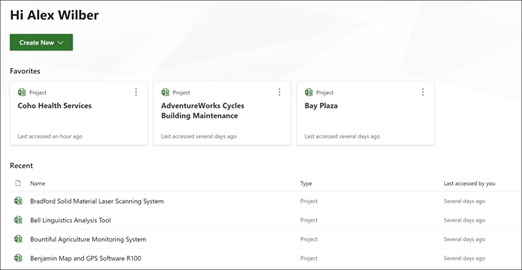 You can open the .mpp file with Project Professional 2019, Project Professional 2016, or the Project Online Desktop client. Assignment Baseline Timephase data for the project from the reporting schema. Assignment Timephase data for the project from the reporting schema. Project Baseline data for the project from the reporting schema. Project tasks data for the project from the reporting schema. Assignment resources data for the project from the reporting schema. Resources data for the project from the reporting schema. Task baseline timephased data for the project from the reporting schema. Task timephased data for the project from the reporting schema. To learn more about the objects contained in each of the .json files, see the Project-specific user data from the reporting data section of Project Online export json object definitions. To learn more about the objects contained in each of the .json files, see the Project-specific Metadata files section of Project Online export json object definitions. After receiving the exported user content, you can use your data to find the user's custom views, custom filters, custom tables, attachments, and macros. To find these, you will need to have the MPP and XML file for each project in which you want to search. For more information on how to do this, see Find customized user items in Project Online and Project Server user export data. As noted earlier, the export script will only export projects that the user was a part of as an owner, has an assigned task, is an assignment owner of a task, or is the status manager of a task. When the user is part of an inserted project, but not the master project, only the inserted project will be exported. Similarly, if the user is only part of a master project and not any of the inserted projects, only the master project will be exported. When saving a master project that a user was a part of, you will not need to save any associated inserted projects if you are prompted. Data for a user's favorite and recently viewed projects in Project Home can only be accessed directly in-app. The user needs to log in with their Office 365 account credentials to access their Project Home page and see the projects that are listed. Log in to Office 365. In your browser, navigate to the URL project.microsoft.com to open your Project Home page. On the Project Home page, take a screenshot of the projects listed in the Favorites and Recent sections.